It's easy to forget you're on a cruise ship when sailing on Viking Sky; it feels more like a swanky-yet-comfortable resort than what you typically see on the oceans. Most of the ship's public spaces feature long couches and deeply padded chairs, tables and nooks for reading or game-playing, lots of books, tasteful decorative touches and expansive ocean views. In fact, Viking Sky is notable as much for what it doesn't have -- a casino, children, lots of added-fee restaurants -- as what it does. It boils down to company philosophy, which emphasizes the destinations the ship visits as well as a high-value, low-hassle vacation experience. A cruise on Viking Sky is fairly inclusive, and passengers onboard don't have to worry about things like paying extra at restaurants or how much the wine at dinner costs or whether you want to spend the day at the gorgeous thermal spa. And the things you do have to pay for, like spirits, cost about what you'd pay on land. Every space, every element onboard is thoughtful; it's clear it was designed with the modern traveler in mind. Cabins have outlets that accommodate U.S. as well as European plugs, and they have a whopping nine USB ports for charging. Seating areas include throw pillows as well as warm blankets, just in case. Even the pool deck is smartly designed -- lounge chairs face the ocean, so you can read, relax and gaze at the scenery from padded comfort. Viking Sky maximizes the scenery, with most of its venues featuring floor-to-ceiling windows, many of which can be opened when weather is pleasant. Viking Cruises follows a pretty unusual employment strategy when it comes to its crew: Hire for personality, train for the job. It works. A cruise on Viking Sky is exceptional, in large part because of the friendly crew, who anticipate virtually every need, recognize preferences and aren't afraid to make recommendations. From cabin stewards to waiters to bartenders, everyone is friendly, and they have long memories -- they will remember your name every time they see you and know that you prefer beer to wine or like a sparkling water rather than still. Our biggest quibble about Viking Sky is the relative lack of innovative entertainment, both during the day and in the evening. It's a minor point, as many passengers choose to head to bed early to prepare for the next day's port arrival, but it's noticeable. Also worth noting is the disparity in quality between the ship's included shore excursions and its optional, for-fee offerings, which are, in some cases, significantly better. Still, pricing for the optional excursions is reasonable, and many passengers elect to add a few such tours to their cruise. Overall, a cruise on Viking Sky is a one-of-a-kind experience, where fellow passengers are collegial, cabins are perfect and itineraries inventive. 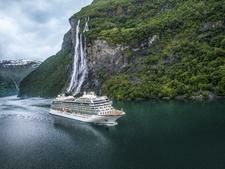 Viking Sky reminds us cruising can be comfortable, thoughtful and decadent at the same time. 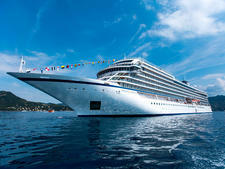 For the most part, Viking passengers are 55 and older, a demographic the cruise line unapologetically targets. Passengers hail mostly from North America and the U.K., and many of those passengers have sailed on the line's river ships. Viking Sky is designed to appeal to passengers who are as interested in the destination as they are the ship, who don't mind that there's no casino onboard and who want a decidedly adult experience. Children must be 18 or older to sail, and the line offers no organized activities for kids. Cruise Critic’s professional photographers and our extraordinary community members have taken 2,383 pictures of Viking Sky. When you visit our photo galleries, you can be assured that what you see is what you get. 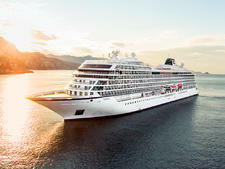 Viking Sky adheres to a resort casual style. During the day, that's jeans or casual pants, T-shirts, shorts or breezy dresses or skirts (for the women, of course). Swimwear is restricted to areas where there's a pool. At night, it's somewhat dressier. Women wear blouses and dress slacks or skirts, and men wear dress pants or khakis with button-down or collared shirts. Some men choose to wear jackets and even ties, but they aren't required. If you want to dress more casually, jeans and tees are fine for the ship's buffet dining venue, The World Cafe. The ship doesn't have a formal night. 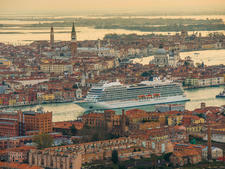 Viking Sky successfully walks the fine line between full-blown luxury cruise and value vacation. Cruises include more add-ons than most mainstream cruise lines offer, yet passengers will pay for several discretional items covered by other all-inclusive lines. Your cruise fare includes free internet, self-service laundry, room service, dining in any restaurant -- except for The Kitchen Table, which combines a shore excursion with an upscale dining experience -- and access to the ship's incredible thermal suite. Passengers can enjoy unlimited wine, beer and soft drinks at lunch and dinner -- a welcome touch after a long day in port. Spirits and premium wines must be purchased. The line offers a Silver Spirits drink package, which covers drinks up to US$15, a selection of premium wines and mini-bar replenishment. Packages cost US$19.95 per person per day including 15 percent gratuity. Cruise fares on Viking Sky also include at least one excursion in every port, though optional excursions are available for an additional fee. Included excursions tend to be of the tour bus variety, while optional excursions usually offer deeper exploration of cities and sites. Optional excursions are priced moderately, usually $100 or less. Most optional excursions run concurrently to included excursions, so passengers have to choose between the two. 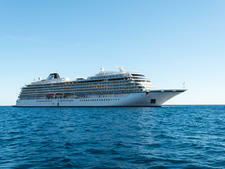 Gratuities are not included, except for passengers from Australia and New Zealand. For everyone else, Viking will add tips automatically to your onboard bill at a rate of US$15 per person per day. You can adjust the amount by visiting customer service onboard. Keep aside a couple of dollars to tip if you order room service. Beverage prices incur a 15 percent gratuity, which is automatically added. Passengers visiting the spa can select a tip rate at the end of their services; tips are charged to onboard accounts.